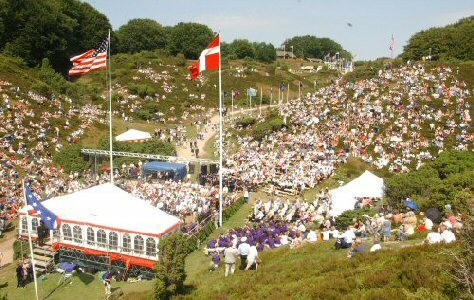 Much has transpired since 1912 when a group of Danish Americans purchased a 200 acre heather covered land in Rebild, Denmark in order to have a place to annually celebrate July 4th, America’s Independence Day, with their Danish families and fellow immigrants. Later the Rebild organization, donated the property to the State of Denmark, and it became Denmark’s first National Park. By 1912 around 300,000 workers had left Denmark for better opportunities in America. They soon formed Danish clubs and societies where Danish culture was maintained. There were Danish settlements, Danish churches, Danish schools, lodges, newspapers and organizations but no unifying “umbrella organization” that could organize and maintain the contact with Denmark. Rebild National Park Society Inc. became that umbrella and fulfilled this need. 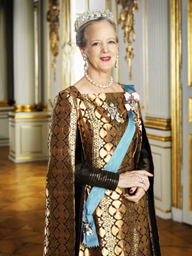 Her Majesty Queen Margrethe II is the protector of the Rebild organization, and the celebration still attracts thousands of people and dignitaries from countries, as well as U.S. military representatives and prominent main speakers and entertainers. The post war 1948 festival broke all records with 50,000 participants. Through the years highly esteemed individuals have participated on the festival program, including such notables as: Walt Disney, Chief Justice Earl Warren, President Richard Nixon, Hubert Humphrey, Walter Cronkite, actor Raymond Burr, Danny Kaye, Vice President George Bush, Victor Borge, Ronald Reagan and wife Nancy Reagan, Art Buchwald, George Romney, Agriculture Minister Ezra Taft Benson, Judge Earl Warren, plus many Danish dignitaries. The celebration tradition continues to our day, and Danes in America still make the trip back to the old country, sometimes with their children and grandchildren, to participate in the festival and the many social gatherings that unite the two countries and their people. In year 2012 Rebild celebrates it’s 100th birthday!